Swine flu is a present emerging infectious disease. 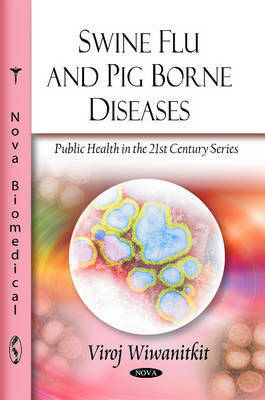 The purpose of this book is to summarise and present the topics specifically relating to a new problem in our world, swine flu, in the forms that are unique in the present day. Due to globalisation , changes in the epidemiology of diseases from one site to the others all around the world can be expected. Pandemics can be expected. This work can be a useful reference material for the practitioners who are not familiar to the unique problems of the developing world and might be forced to nevertheless deal with those problems due to the possible migration of diseases. Additional information on other pig borne diseases is also provided in this book.